"Well, as you have stated, "Mind you that was before the polls even took place. Once the polls occurred, Mr. Heckler dropped the schemes and accepted that they happily joined the Galactic Alliance." Now, I am afraid you are in correct, the only 'poll' that was ever approved were on Durbillion. The Emperor selected, personally the view of peaceful means, but saw that it was impossible. I have a certain conversation between Han Solo and the Emperor that confirms this. As you may or may not know the two were talking to one another at the situation of Durbillion. I can confirm one thing that the Alliance did not confirm a single election, merely a survey on Durbillion for popularity of the two leaders. I even have the results of that poll for the court. Alliance in this situation had acted undemocratically, after the Emperor asked the Alliance for these elections, Han Solo said "no", over and over again. Yes, it is a terrible thing, almost unthinkable, but it is true. The Emperor never accepted the idea, even, of a military strike till after the session of denial. It was a bad situation, the Emperor, in my opinion, however I hate to express my opinion, and he did what had to be done in the situation. Now, let me go into a little more detail on that. He didn't run to saber rattling as soon as he heard the denials, but instead to a covert strike on these worlds. He looked into the idea and the idea of full military strike, the idea of a full scale embargo, and the idea of taking hostages, the ideas go on, he doesn't jump into these situations like a berserker, unlike those in the Empire. The Emperor, against the current of pressure, stood back, and stopped though, against most beliefs in the Protectorate. The Protection Protectorate Board had by a large majority decided on action against the Alliance and a further majority wanted the Emperor to perform a military strike. But, Great Tree willing the decision was but for advising the Emperor, not giving him the order for an act of war, but the right for one." And there you have it ladies and gentlemen. Mr. Bhuru, thank you for your testimony and witness and I excuse you from defensive questioning. Emperor Brote Heckler is charged with Conspiracy of Treason by attempting to incite riots on Alliance worlds. Absolutely no evidence exists to support this claim. Han Solo testified under oath that he did not have confirmation of Alliance targets. Only speculation. Ams Jendob's testimony proves that Brote Heckler does not have a history of violent revolutions on democratic societies. The peaceful turnover of power is documented and well observed by the entire population of the Corulag. Sadly, most of them cannot testify as an Imperial fleet roasted the surface. Selena Heckler, married and closest personal relationship to the Emperor, has swore under oath, that Heckler would never committ such an act. Despite the prosecutor's witnesses' blind hatred, Selena showed this court room that Brote Heckler does have a heart. His love for his wife and son are unquestioned. Selena shared with the court Brote's universal love for democracy. His desire of the free will. Now. Bhuru did answer some military strategies that the Emperor had considered. Like all galactic leaders they must consider many options to a problem that is presented to them. Whether it be by force or other means, it must be considered. Brote Heckler did exactly that, played through the scenarios. Obviously, nothing occured on the Alliance worlds. Those Alliance worlds, I played a part in their conversion to the DRWP. I have a special bond with each, and I would not defend a man that I thought would harm the innocent people of those worlds. Emperor Brote Heckler is charged with Border Violation with an invasion fleet entering Ilum Territory. Bhuru confirmed that by sheer luck, they arrived several minutes after Master Yoogle had claimed the world for the Galactic Alliance. There is no logical nor realistic odds that would allow Mr. Bhuru and his fleet to pull out of hyperspace in time before they reached the Ilum System. They met the planet and prepared to take it for the DRWP, when they received confirmation that it was Galactic Alliance territory. Master Yoogle may have been a target at the time, but compromises were made by both sides to ensure a peaceful outcome. The DRWP fleet, led by Grand Commodore Bhuru, then left the Ilum system. Not a single Alliance or Alliance protected individual was taken or harmed. The surface was not touched by a single DRWP asset. Considering the charges, Brote Heckler is an innocent man. Your Honor, I end my defense session with no further questions and witnesses. I guess we are in recess? Yes, I'm sorry, I intended to post as Borsk but I've been busy the past two days. If you do not want to participate, let me know OOC and I'll try to find someone else. Please rise. A hearty greeting to all participants of the trial and may our proceedings be true and just under the guidance of the Force. You may be seated. Prosecutor Organa Solo, you may proceed when ready. Um... I have to speak up OOCwise: but it would seem this court... although nothing against Cray personnally... is turning into a one player decides all courtcase. I mean look, Cray now is the judge, juror and lawyer... prosecuting lawyer at that. Nothing against you, but I see a lot of conflicting interest. Isn't Salla Vivek a character he controls? Thank you, Your Honor. Before directly pursuing my opponent's testimony, I would like to call Supreme Moff Yittreas to the stand. Thank you. Moff, what were you doing when Han Solo was living his latest life as a smuggler? How are you involved in the situation? I was reading through reports of criminal offenses on the worlds under my control when a report from Ord Mantell came in. It detailed a smuggler who was caught assaulting the local militia, and was arrested by Army military police. However, the file included an image, and the image was that of Commander Solo. So, Mr. Solo was going by an alias? I see. Keil d'Tana, the same recipient of Heckler's transmission. 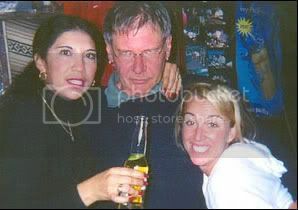 Here, we have proof given by Moff Yittreas that d'Tana, otherwise known as Han Solo, was under an alias during this time. So, Mr. Heckler had no way of knowing d'Tana was actually Solo. Frankly, the defense's arguements seem to have no bearing. Firstly, votes were held OOC and IC on Mr. Heckler's request. It showed that very few people wanted to stay with the DRWP, and the rest either wanted to be in the Alliance or just didn't care. I hold here in my hand proof of Mr. Heckler's conspiracy to attack the Alliance worlds, with no regard to their "democratic right." He just didn't do his paperwork on who he was hiring to carry out the said crimes. Thank you, Moff Yittreas. You are excused. Very well. Defense, it is time for your closing arguement. As rested as your case may be, Mrs Organa Solo, I find your logic flawed. Keil d'Tana, also known more publically as Han Solo, had no exact evidence to which planets where to be "attacked". I use quotations because there is no evidence the Galactic Alliance can provide that will prove beyond a reasonable doubt that Mr. Heckler attempted to incite harmful riots and rebellions on those worlds. The jury cannot convict Mr. Heckler if they do not have enough evidence to support the prosecution's claims. Did Mrs. Organa Solo prove that Mr. Heckler was behind the letters? No. Did Mrs. Organa Solo prove that the "evidence" in question was infact proof that Brote hired a merc to carry out a rebellion? No. We have heard from witnesses, his wife, his closest friend and myself through my defense, that he is not capable of such crimes. Leia has called pointless witnesses and Mr. Yittreas was another. So, Mr. Heckler had no way of knowing d'Tana was actually Solo. Over vocal or written communications, perhaps. But any visual contact and Han Solo would be revealed. However, the file included an image, and the image was that of Commander Solo. In fact, the Moff recognized him immediately after looking at a photo. Do you honestly believe Mr. Heckler would hire a merc without taking a look at him? No. And if so, there is no proof beyond reasonable doubt. Miss Organa Solo, Your Honor, I close with these remarks. As the tesitmony with the closest relationships to Heckler, he is an innocent man on these charges. Only personal grudges hold him at court today. I�m afraid, Ms. Pallan�n, that you are referring only to yourself. I offer physical, tangible evidence, while you offer only the biased opinions of the wife and of a man in the highest echelons of the DRWP. It is only natural that people, offering only feelings, about a man so close to themselves will lie. I believe they have lied, in fact. While the defense offers opinionated witnesses, I even offer an Imperial; Supreme Moff Lorth Yittreas. Your Honor, jurors, the defense claims that I offer no evidence. That is totally and completely wrong. The message does come from Mr. Heckler himself, and if you don�t believe me, you may run a traceroute on the communication right now. The defense also claims that there is no evidence that Mr. Heckler wanted to attack Alliance worlds. I�m sorry, but that is wrong. I need you to ship weapons and droids into occupied territory for me. Occupied territory. What other DRWP territory was �occupied� at this time? None. When Lambda broke away from the DRWP, the planets formerly part of Lambda seceded with it. Hence, these are the only planets possible to be indicated. Ms. Pallan�n also says Heckler would have identified Han Solo. Not necessarily true. Moff Yittreas did not initially recognize who d�Tana was until comparing his face with a profile picture of Han Solo. You can clearly see the flaw in the defense�s logic. However, my client will be withdrawing one charge. We will no long pursue the charge of Border Violation, due to the lack of evidence and circumstance. This concludes the sessions. At this time, we will recess to allow the jury to discuss their verdict. We will reconvene in 24 hours. After discussing the matter with my fellow jurors, we have finally come to a decision (after like 2 weeks...heh...eh...*coughs*). Mr. Brote Heckler, the jury has unanimously found you guilty on all accounts. Thank you. Arlyn muttered something in Thanagarian, waiting for Borsk. EDIT: oops, we aren't finished here.